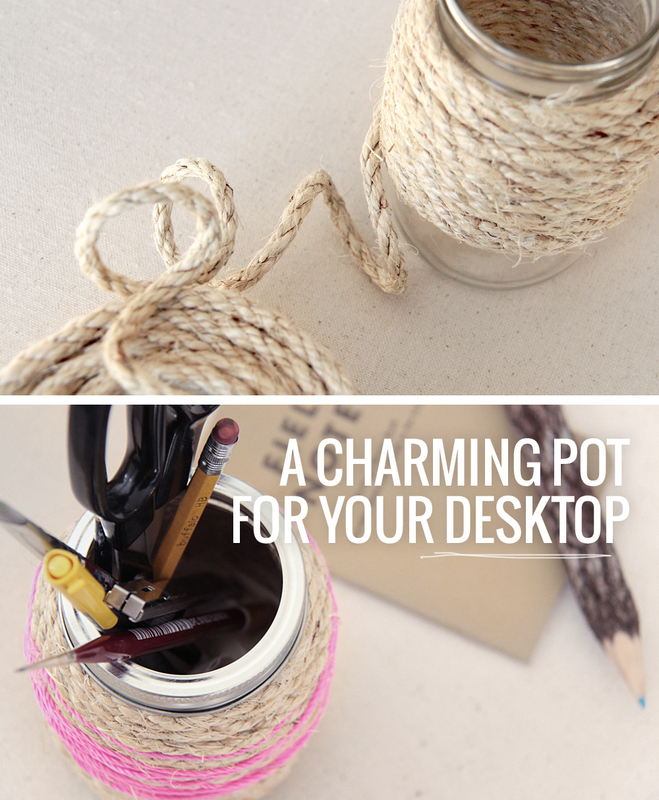 Today, I am showing you a very quick and easy DIY project to give your desk a charming storage piece, in just a few minutes. 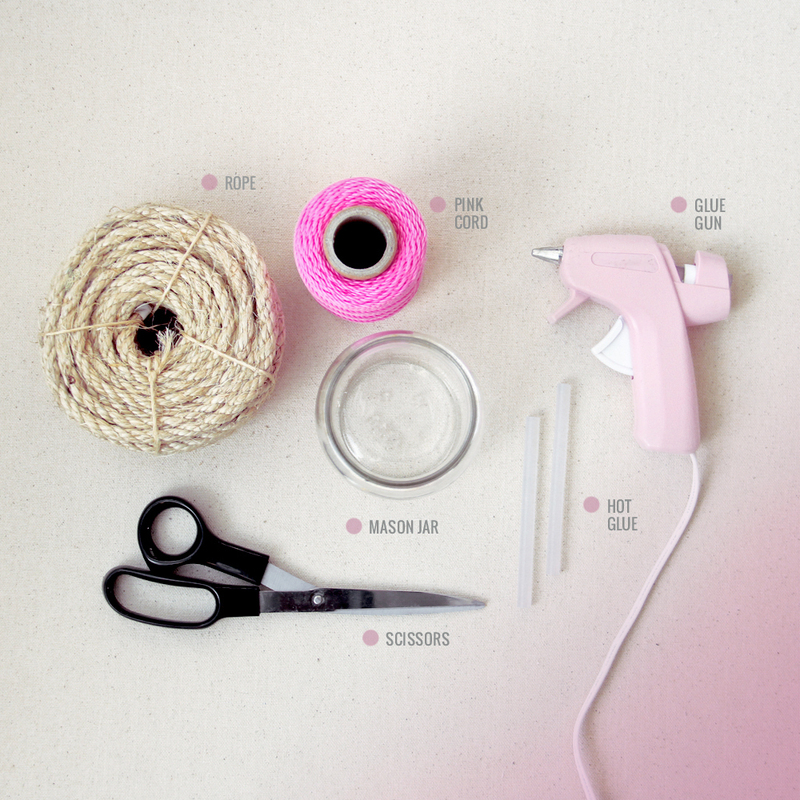 Thightly wrap the rope around the mason and fix it with hot glue. 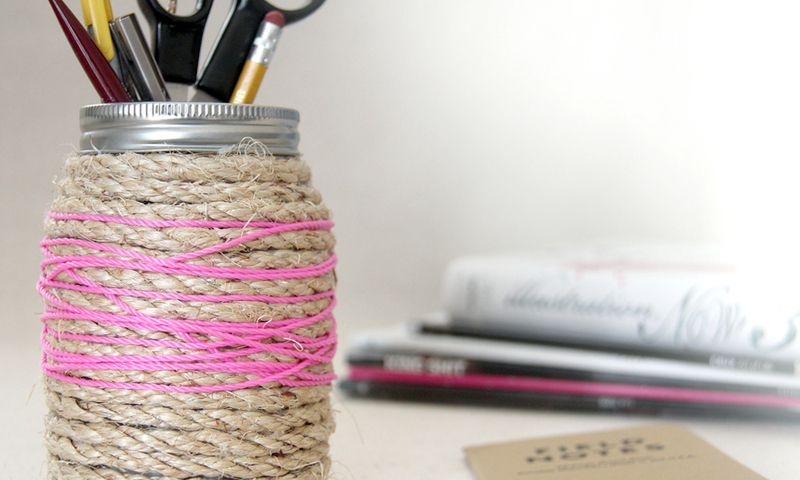 When the jar in completely wrapped in rope, cut it and fix the extremity with some more hot glue. You are already done. Just put the metal rim back and you have a charming home for you pens and pencils! ha! Thank you so much! I’m so glad to hear I inspire you! Notify me of followup comments via e-mail. You can also <a href='http://coloursandbeyond.com/comment-subscriptions?srp=2388&srk=&sra=s&srsrc=f'>subscribe</a> without commenting.